We are at it again. A bunch of us bloggers and TpT creators have gotten together to swap products and blog about it. I was so excited to do this that i must have signed up twice. So today you get to fabulous product reviews in one post. I wish I had better pictures to share. I;m having some bad camera carma. I have misplaced my new camera. It is somewhere in my classroom. It is small and easily hides under stacks of papers or perhaps some very helpful kindergartner moved it. My other camera takes blurry pictures so. What I have isn't much to do these two bloggers justice. Trust me, these are great products. The first product comes from Cathy Irwin at Mrs. I's Class. Cathy is a mom of two little ones and a kindergarten teacher. She has taught for nine years from grades Pre-K to 1st and SPED. 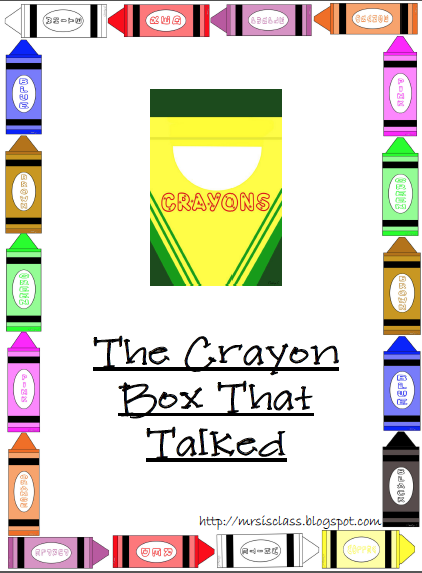 I chose to look at her Crayon Box that Talked. This is such a cute packet to start off the school year with. It has several color word activities such as color bingo, color memory and crayon box matching. This pack also includes an emergent reader that we will be completing next week. This year I have a few little young ones, they are still 4 years old and they don't know their colors. They really enjoyed playing the color bingo during choice time. My printer had a work out. Using this next week with a small group of kids who don't know their colors. I'm goiung to use these as a memory game in the pocket chart. Make sure to stop by Cathy's blog and visit her TpT store too. She is having a 20% off sale for the next 24 hours. As a bonus Cathy is giving away one item from her store. Enter below. I swapped products with Erica Crowder from Sprinkles in Kindergarten. Although I haven't been able to use this product yet. It will be a great addition you our Gingerbread Man unit in December. This 77 page packet is full of super cute graphics. It includes 2 leveled emergent readers, graphing activities, a sequencing activity, a glyph and more. I've already started prepping this packet so I can be ready in December. The graphs will be fun and fit perfect into our math program as we are to do several graphs a week. I printed an extra set of the characters. I am putting them on popsicle sticks to use in oral story retelling. This is one of our district standards and the Gingerbread Man story is the story they are tested on at the end of the school year. I will say that listening to the story retell from each kid can be nausiating. I'll be using these in a pocket chart for matching words and numbers and for the sequenceing of the story. Of course we will HAVE to do this. Last year. our ELD assistant made the class gingerbread man cookies, then warmed them in the toaster oven. We really aren't supposed to bake at school. Some teacher complained that her wall got hot when she used an electric fry pan, Seriously, maybe it was too close to the wall. Way to ruin it for the rest of us. 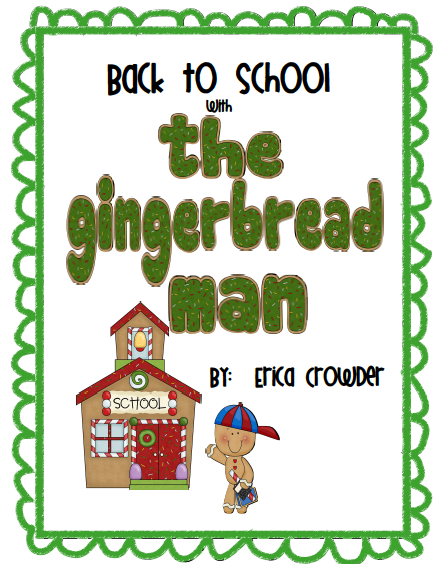 I really love that Erica made another book to go along with one of the songs the Jack Hartman CD Shake Rattle and Roll. I just bought that CD. My kids are going to love it. Would love to win her Down on the Farm Unit! Love this! Thanks for joining for the swap :) I hope you'll sign up for the next!